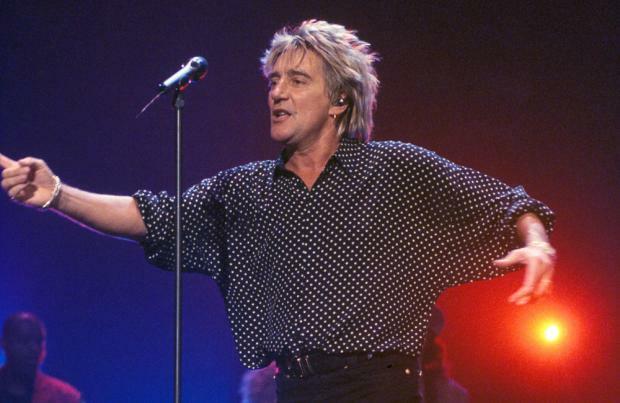 Sir Rod Stewart is among the epic 2018 lineup that also includes George Ezra, Jess Glynne, Nile Rodgers & CHIC, Olly Murs and Rita Ora who are performing at BBC Children in Need Rocks 2018. The 73-year-old rock legend will take to the stage on November 7 at The SSE Arena, Wembley and tickets are on sale now. The concert will be hosted by Fearne Cotton and Clara Amfo and 37-year-old Fearne is "so excited" for the evening of incredible music. She said: "BBC Children in Need Rocks 2018, what a line up! I am so excited to see these incredible musicians perform back to back for one night only. It's going to be an electric night, and it's all in aid of a good cause. I can't wait to be part of it and I'd encourage everyone, everywhere, to don their dancing shoes and join me!" Presenter Clara, 34, also expressed her joy at presenting and emphasised how much the charity improves the lives of disadvantaged youngsters in the UK. She said: "I'm delighted to join Fearne and your favourite artists for Children in Need Rocks this year. Money raised truly does help change the lives of disadvantaged children and young people throughout the UK so get your tickets and join us for a special night!" BBC Children in Need is currently supporting 2,700 projects in communities across the UK that are helping children and young people facing a range of disadvantages. The event will include a number of films sharing stories from children and young people who are supported by projects funded by BBC Children in Need. Viewers of the show will be invited to donate to help raise money for the charity and all proceeds after costs will benefit BBC Children in Need. Children In Need Rocks takes place at the SSE Arena in Wembley on Wed 7 Nov. Tickets are on sale now.